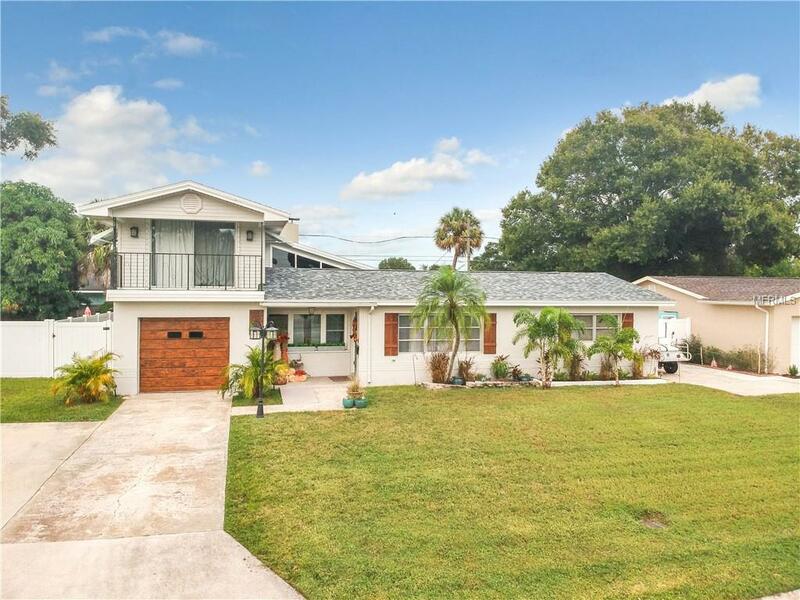 Spectacular updated 3/2.5/1 car two story pool home with a New roof, New electrical, brand new stranded bamboo floors, and a ton of extras that really gives this home an elegance above all others. The custom looking kitchen is perfect for entertaining, adorned with an artistic backsplash, clean solid surface countertops, stainless steel appliances, a large open basin undermount stainless steel sink with a commercial grade faucet, wood open style shelving and a durable concrete countertop with high end LED island lights. The cathedral ceilings and fireplace in the living room are both eye-catching and a showstopper. There are two nice size bedrooms downstairs with a new bathroom. The bathroom boasts a high end marble countertop, Jacuzzi bathtub, and brushed nickel faucets. Each tread on the stairs were hand milled at the sawmill and then shaped and stained specifically for this home. The master retreat has a brand new en suite bathroom which includes a custom tile design, glass sliding doors, double vanities with granite tops, and all new LED lighting. Also a walk-in closet, and another nice sized closet so you dont have to share. There are new whitewash laminate floors, drywall, tile, tongue in groove bead board ceilings, Also upstairs is the bonus room which can be used as a fourth bedroom or office space. The backyard has a very large swimming pool which comes with a brand new cartridge filter and a brand new variable speed pump. It also has a hot tub and outdoor shower. Come relax in your new home! Listing provided courtesy of Franklin & Associates Realty.